I want to share why the HP Pavilion M4-1004TX Core i7 is the perfect birthday gift! I celebrated my silver birthday last August and my mom asked me what could be a perfect gift for me. Of course, I told her that I don’t need or desire anything. A simple celebration will do. But my mom insisted. She said that she will buy me a new laptop. Wow! My old laptop is almost two years old. A dual-core eMachine laptop that I bought at P18,000. Yes, a device with not-so-spectacular specs but suffices for a writer like me who only used the Internet, Microsoft Word and Skype. My mom said that my aunt residing in Canada will send the money I need to buy a new laptop. Yes! I listed my criteria in choosing a laptop. I am mainly looking for three things: big screen, Intel i7 processor and low price. I went on to buy the HP Pavilion M4-1004TX Core i7. It is one of new models from HP. To my surprise, the company offered it at a cheaper price compared to other i7 laptops in the market. I learned that HP will release a new range of laptops later this year powered by Intel’s new Haswell processor. Aside from i7 processor, it has a 4GB RAM, NVIDIA GeForce 730M GPU, and runs with the latest Windows 8. To my dismay, it has the traditional 14-inch screen. I was looking for a laptop with 17-inch screen like that in Dell Inspiron. However, I think it will do since laptops with 15-inch screen are way too expensive. You can view the detailed specs and features of HP Pavilion M4-1004TX Core i7 here. Lastly, the HP Pavilion M4-1004TX Core i7 costs P40,000. However, you can get it for P36,000 if you will pay in cash. It also has 0% interest if you will pay via credit card. The laptop comes with a backpack. 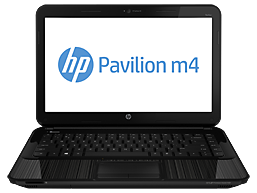 You can buy HP Pavilion M4-1004TX Core i7 in HP stores and Villman Computers at major malls. Now, I enjoy the faster processing of HP Pavilion M4-1004TX Core i7. It makes my job a lot easier. is this quadcore? how many cores is this laptop?